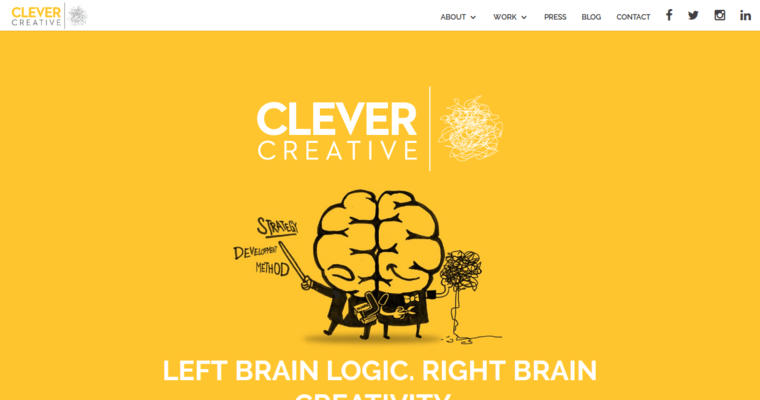 Clever Creative is one of the best branding agencies out there. Their branding services include planning, research, analysis, strategy, brand positioning, product naming, copywriting, architecture, brand messaging, and much more. Their design services include print advertising, B2B and B2C campaigns, packaging structure, photography, retail merchandise, illustration, and much more. Their digital design services include advertising, web development, internet marketing, email marketing, content strategy, content management system services, ecommerce, search engine optimization, research, analytics, and more. 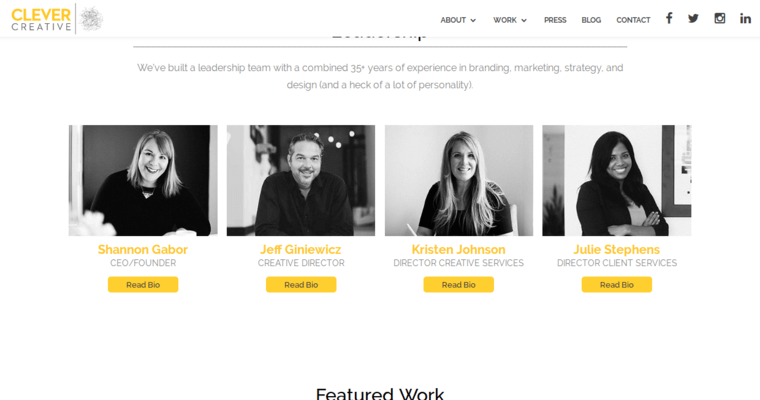 Their clients include Jamie Oliver, 20th Century Fox, Kid Basix, Teach For America, NBC Universal, Sephora, and other famous brands. You can see more of their portfolio and work on their website. 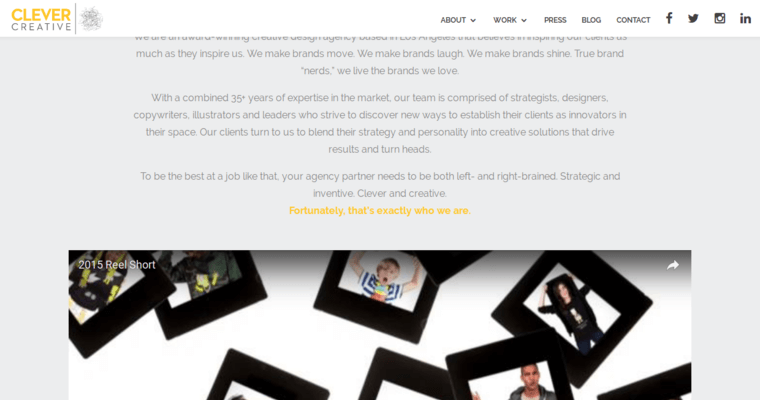 Their leadership has over thirty five years of combined experience in branding, marketing, strategy, design, and more. The company culture places a strong emphasis on messaging. They focus on a happy and pleasant work atmosphere, because having happy workers leads to great work results.